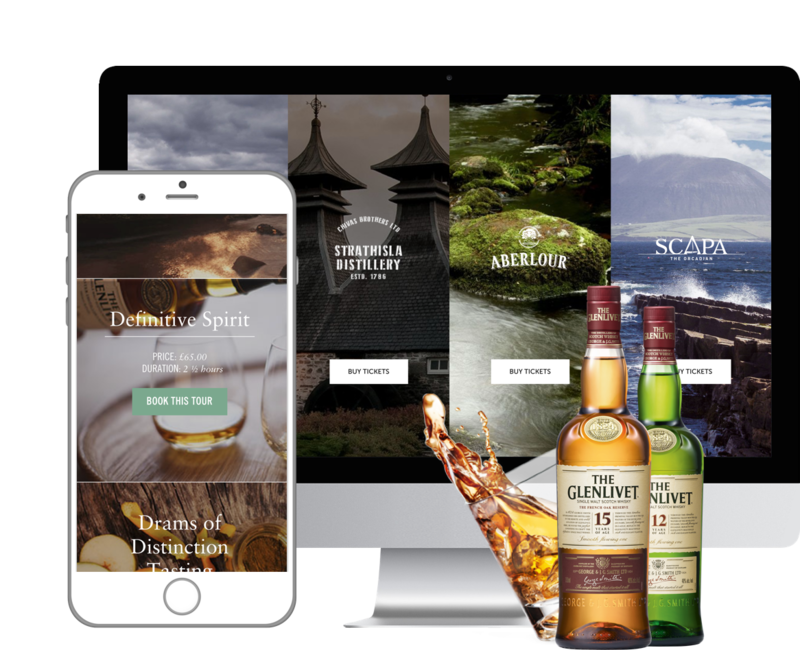 How we’ve enabled whisky connoisseurs to book their favourite tours online. 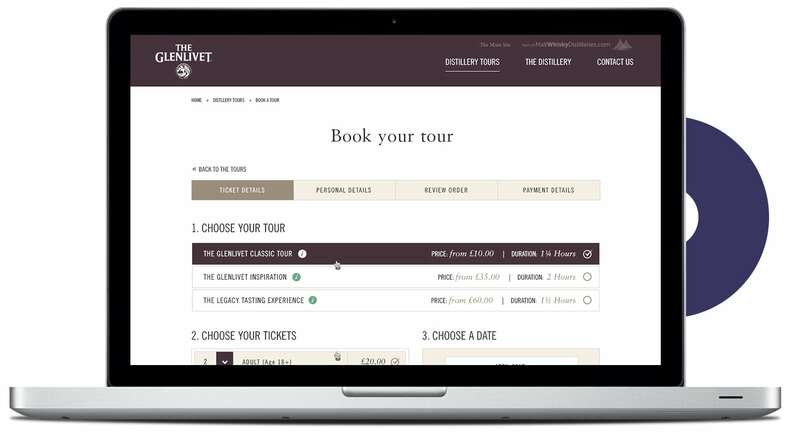 The brief was simple, create a tour booking system that can easily be used by multiple whisky distilleries. 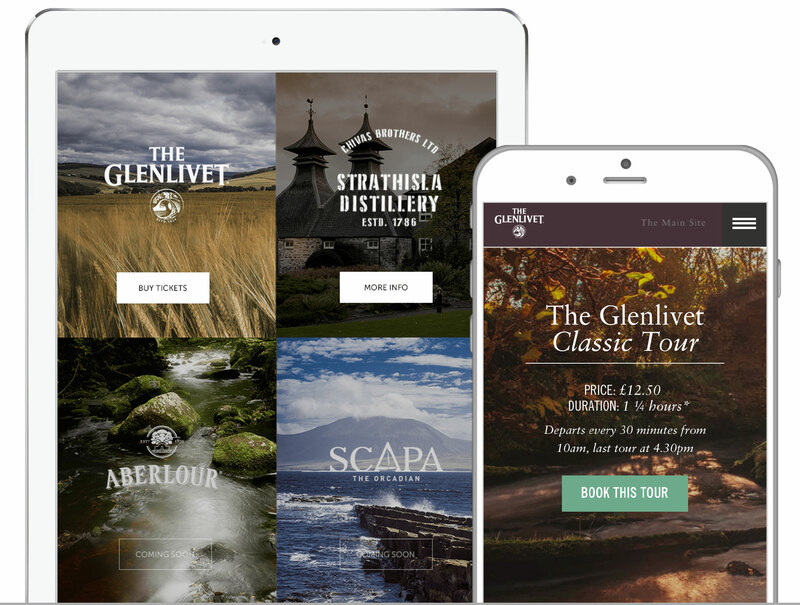 By developing a bespoke ticketing system with an API, Chivas Brothers’ scotch whisky brands The Glenlivet, Aberlour and Scapa, are all able to offer an online experience for customers to purchase tour tickets. Being a bespoke system allows us to constantly review and build useful functions that fulfils the needs of the customers and the visitor centre staff. Each brand shares the same core system and functionality, but we’ve added tools that allow each brand to have their own unique online identity and content. Brand managers can change the look and the content of their tickets via the admin dashboard. 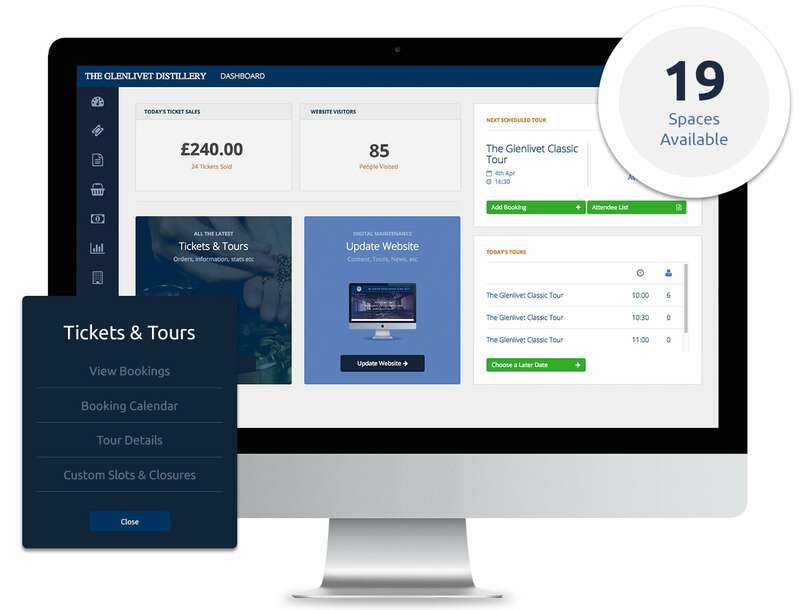 Each of the visitor centre managers have online access to their own dashboard, allowing them to edit or add tours, manage bookings and change availability at a moment’s notice. “Our on-going partnership with Rubber Cheese has completely revolutionised our business operations, enabling us to offer an exceptional digital experience to customers, whilst making the day to day management of tours and products an absolute breeze.